Jeff Lake Day Camp is nonstop fun! Our goal is to expose each camper to all the activities our summer day camp has to offer. Our program director designs a nine-period day that includes individual and team sports, swim instruction and recreation, arts and crafts, and specialty activities such as Cooking and Project Adventure. Junior and senior campers have the opportunity to pursue individual interests during Hobby Hour, allowing them to personalize their own schedule. At Jeff Lake Day Camp, the possibilities are endless. 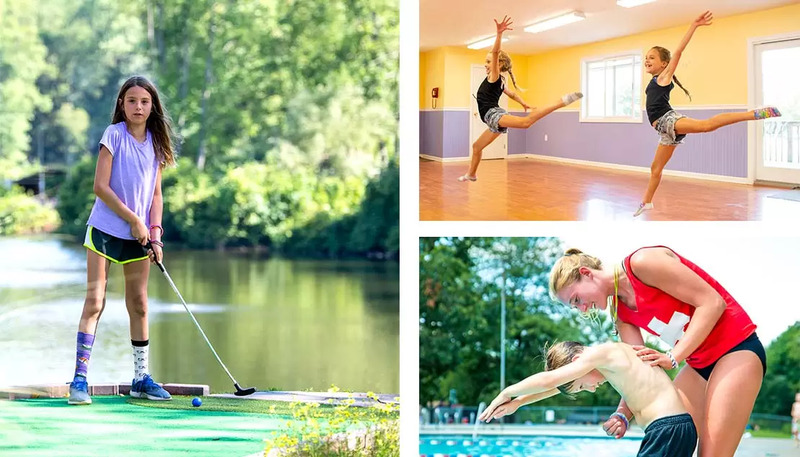 Your camper will go catch their first fish, paint their first picture, score their first goal in a soccer tournament, bake and eat a personal pizza, take a leap down the zipline, learn to dive into the pool, hit a softball, leap into the air on the water trampoline… and then come back for more the next day!